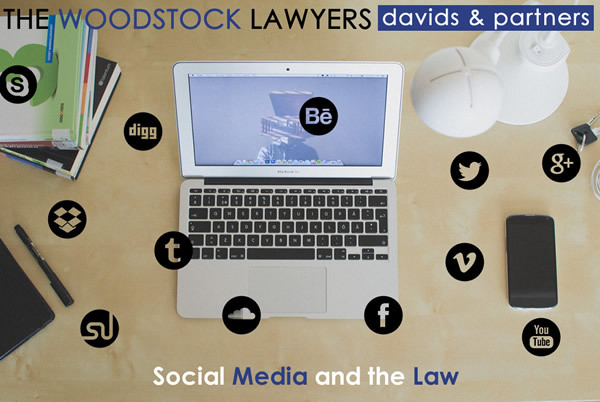 Social Media and the Law - Davids & Partners - Cape Town, South Africa based law firm. The Woodstock Lawyers.Davids & Partners – Cape Town, South Africa based law firm. The Woodstock Lawyers. The advent and rise of social media such as Facebook, Twitter and LinkedIn have become an integral part of everyday life both personal and business. Although it is without a doubt a powerful tool of communicating, it is open to abuse and associated risks arising therefrom. Although abuse of social media is associated with the potential infringement of many constitutional rights, I will focus on those aspects which are most prevalent today i.e. labour related disputes, defamation and privacy infringements which aspects often overlap to a large extent. Social media is especially prevalent in the employment context whereby, for example, Employees often “post” or “tweet” malicious and/or insulting statements or ridicule their fellow Employees or their Employers on Facebook or simply conduct themselves in an improper manner affecting the reputation of the Employer. The CCMA have dealt with several cases of dismissals arising out of Facebook posts and held in several of these cases that the dismissals were substantively fair. Being “tagged in” and/or aligning oneself with a negative statement (by “liking” a “status” or post) will probably also justify a dismissal for bringing an employer’s name into disrepute. Defamation, one of the main risks associated with social media and can be defined as the wrongful, intentional and malicious publication of words or behaviour in relation to another person which injures status, good name or reputation. A woman was awarded R40,000.00 in damages after claiming that her former husband and his new wife were bad-mouthing her on Facebook. The judge found that although the former husband was not the author of the postings, he was tagged in and knew about them and allowed his name to be coupled with that of his wife thus creating liability jointly with the author of the postings.